The legendary Washington, DC luxury hotel. 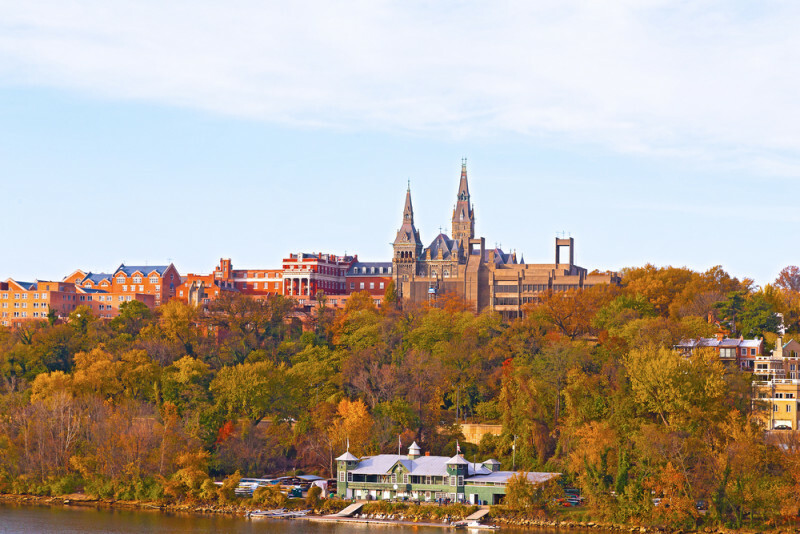 Located along the banks of the Potomac River, this renovated urban resort is ideal for both leisure and business travelers. The 336 well-appointed guest rooms feature modern furniture, marble baths, luxurious linens, fine terry robes and more. From Superior King rooms to spacious Presidential and Diplomat Suites with dining areas, the hotel offers a comfortable setting all guests. The hotel features 27,000 sq. ft. of newly designed meeting and event space including the 6,800 sq.-ft. Moretti Grand Ballroom and over 10,000 of outdoor event terrace space. Other spaces are also available, making this hotel ideal for board meetings, private client dinners and conference breakout rooms. 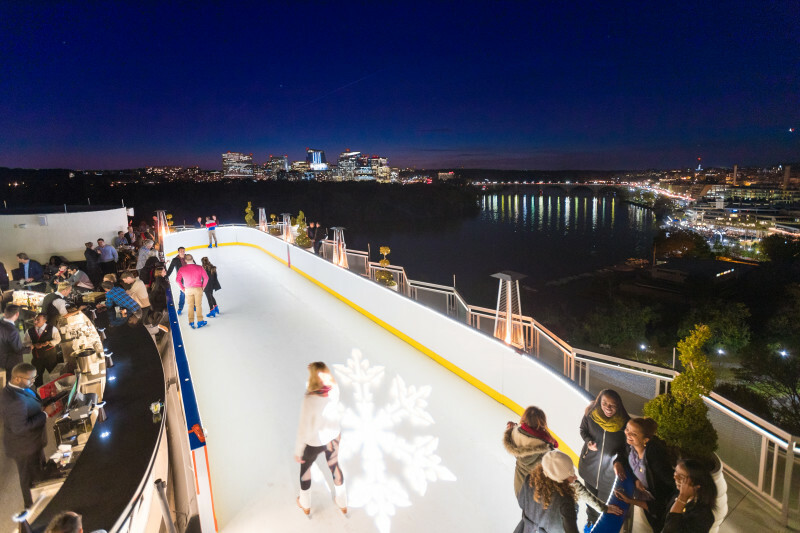 Food and beverage options include Top of the Gate - their rooftop bar and lounge, featuring panoramic city views and winter skating rink. The Next Whisky Bar is the perfect spot to gather and enjoy fine spirits. 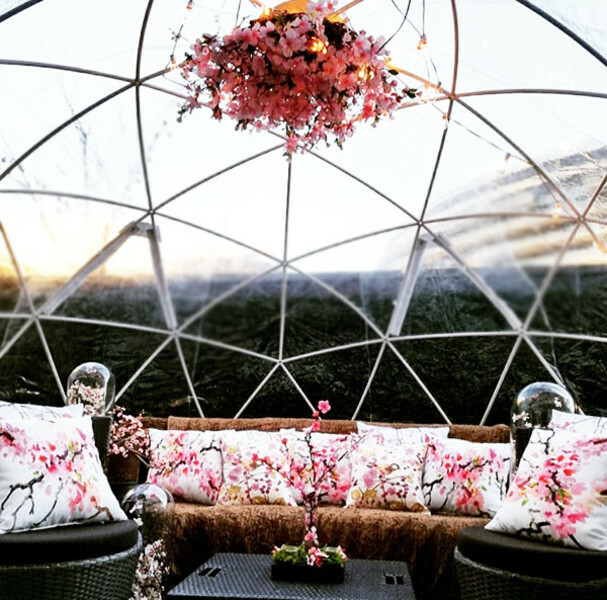 Private Winter Igloos illuminate the Whisky Terrace from November through March. Kingbird restaurant offers breakfast, lunch and dinner 7-days a week. 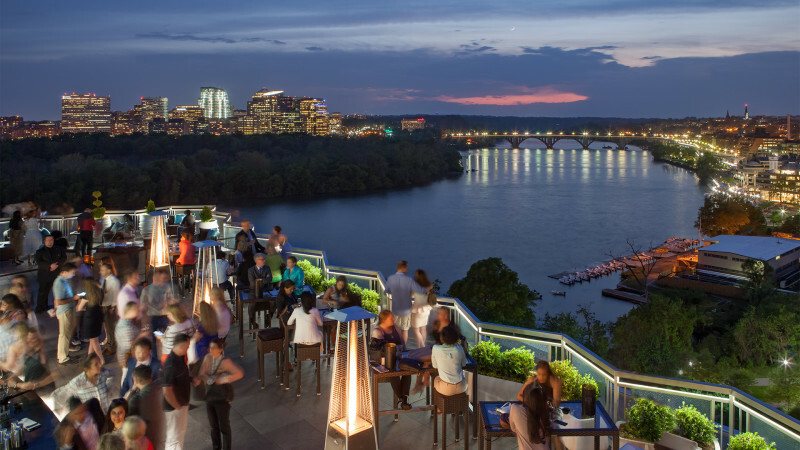 Seating is available inside the stylish Kingbird dining room or on the outdoor terrace with Potomac views. Argentta Spa is a full-service luxury spa with treatments such as massages, facials, body treatments, nail services and more. 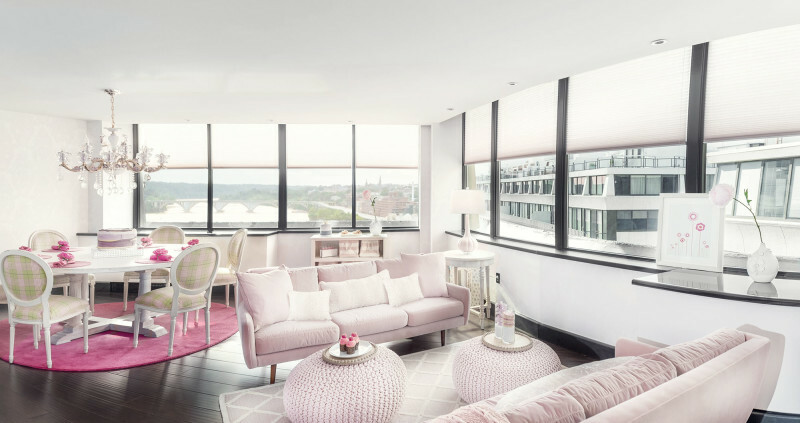 The Watergate Hotel’s fitness facilities are open to all guests and include an indoor pool, sauna, steam room and 24-hour gym. 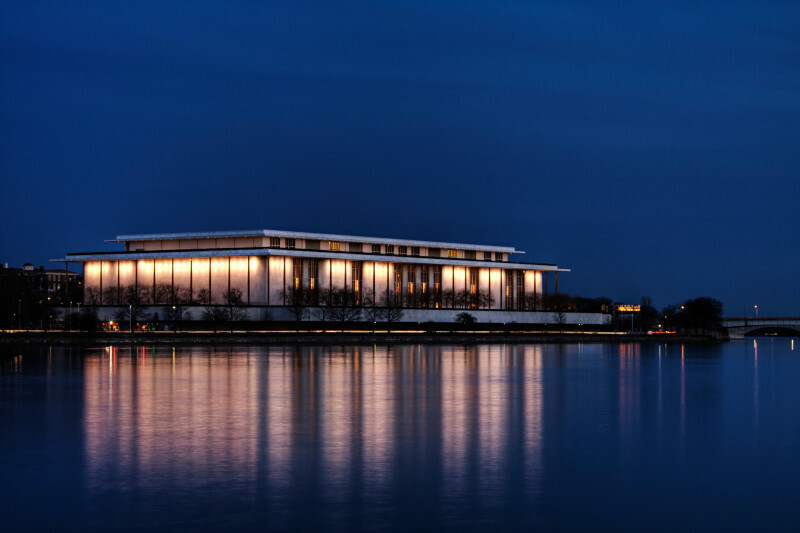 The Watergate Hotel features a rooftop bar with picturesque views of the Potomac River, Georgetown, Key Bridge, and The Kennedy Center. Guests can also enjoy our three meal, dual-concept restaurant, Kingbird, and a Whisky Bar. 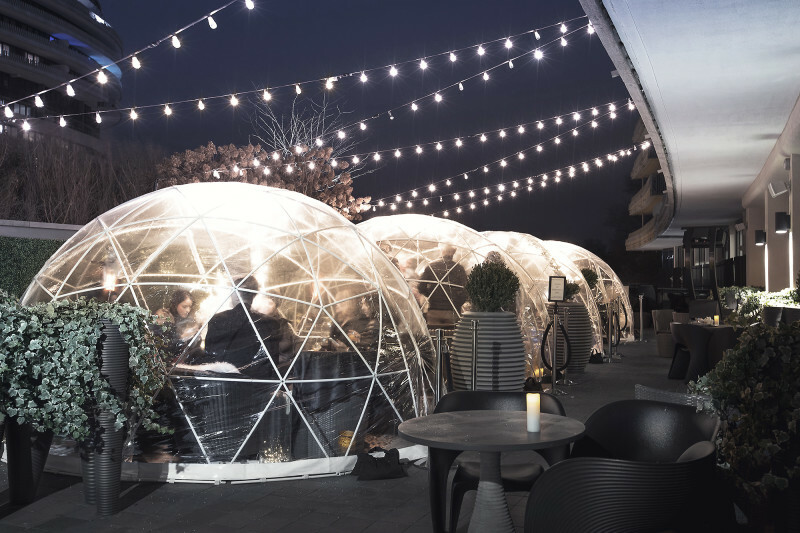 Rooftop Bar with sunset views - ice skating on the roof from November - March. 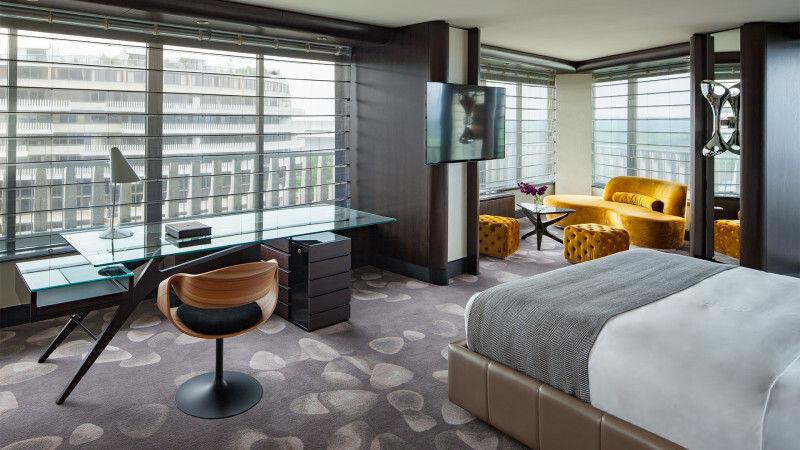 Beyond our unique food and beverage offerings, The Watergate Hotel features a 10,000 Square Foot spa with multiple treatment rooms, an extensive fitness room and an indoor pool.